John studied Drama and Theatre at Royal Holloway, University of London, where he formed the artists’ group non zero one with five friends. John has worked with Blast Theory since You Get Me in 2009, where his first job was to run around Mile End Park in the dark. He has worked as Artists’ Assistant, an Associate Artist and project managing 2097: We Made Ourselves Over and GIFT. He now works as our Creative Producer. 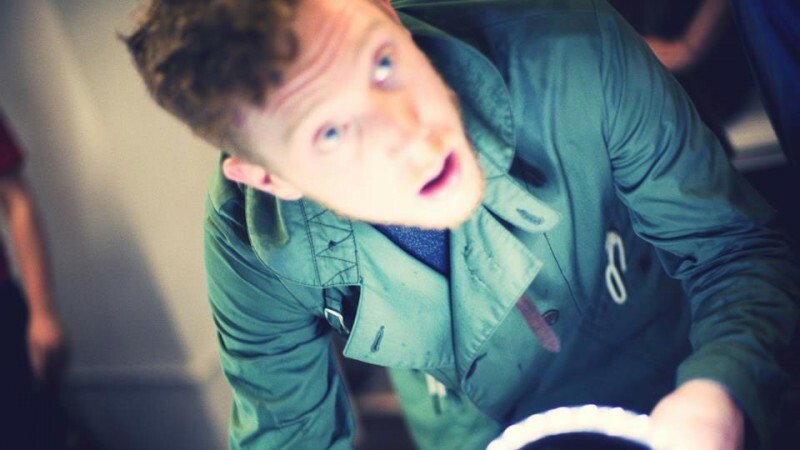 John is a founding member of interactive theatre company non zero one.The company’s work is often interactive, interested in exploring relationships between people through private and shared experiences and has been shown at venues including BAC, the Barbican Centre, the Bush Theatre and the National Theatre. John is a photographer with his company RULER, working in theatre, portrait and fashion editorial. John’s photography work has appeared in Time Out magazine, The Stage, British Theatre Guide, BBC News, Telegraph online, and in posters and brochures for Barbican BITE and Sundance Film Festival. He is also a keen member of GoodGym, a national organisation that uses running to do good in local communities.